I was just solving a problem I had like I always do. It turns out more people had the same problem, and the feedback has been awesome! I’m also happy to announce that my not-very-scientific script recorded that 1000 public GitHub repositories are using GoReleaser! Speaking of stars, GoReleaser has +2,5k stars! Well, since that January, a lot has changed in GoReleaser, let’s dive in! Well, almost everything, to be honest. A lot of new features were added. These includes Docker, Signing, Snapcraft and other pipes. We started supporting deb and rpm packaging through fpm, but, after some time (and a few issues) I decided to create nfpm. It is a very basic packaging tool much like fpm, but it’s written in Go and depending on fewer external dependencies (only rpmbuild at the moment). The core was poorly written in the first versions. It worked but was hard to change and to add new things and kinds of artifacts. It was rewritten and is more flexible now. This allows us and external contributors to add new kinds of artifacts easier. 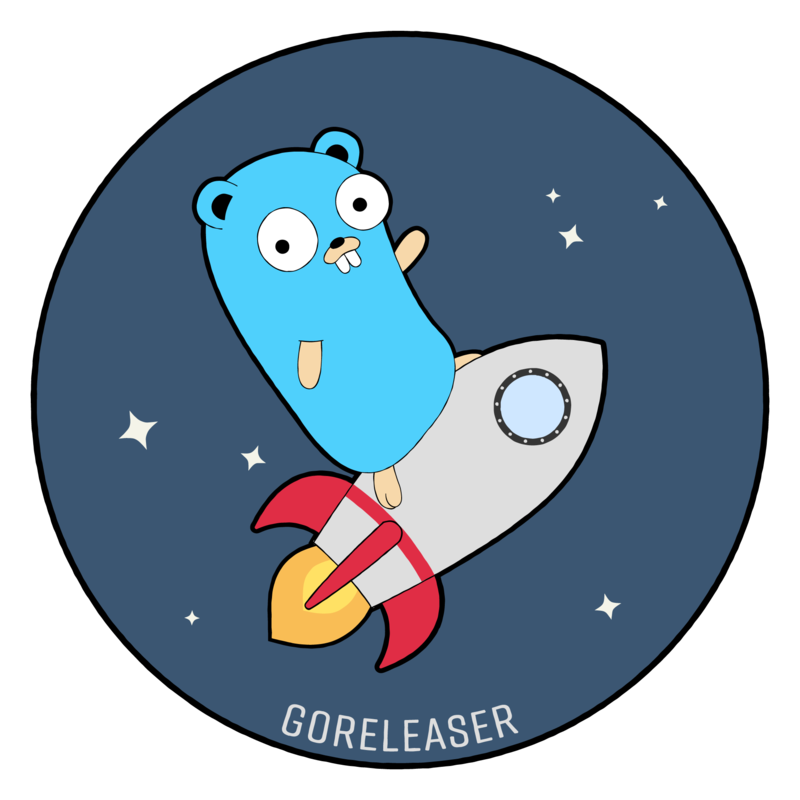 GoReleaser was created with Go in mind, but we recently changed its build pipe to theoretically support more languages. The first one in the pipe will probably be Rust. Nick Galbreath started another awesome project called GoDownloader and donated it to the GoReleaser org. It is like a reverse GoReleaser: it creates shell scripts to download and install software from its releases. It integrates with the .goreleaser.yaml file in the repository and generate the script based on that, or guess some defaults for projects that don’t use GoReleaser. It is an awesome way to save some time, let’s say, downloading and installing Hugo on your CI pipeline. I couldn’t let this pass. It is awesome. You can check out other GoReleaser art in the artwork repository. Oh, I’m working on having t-shirts and stickers, if anyone is interested! I’m not a big believer in these things but wanted to try it out anyway. If you use GoReleaser and it saved you some time and/or you liked it, you can now donate a few bucks in GoReleaser’s OpenCollective page. It is not a big thing but helps to keep the maintainers motivated. We had pull requests from almost 50 different contributors so far! It has been a great gig so far. I can’t wait to see what else we will accomplish! Hope to see you all again in another 1000 users!